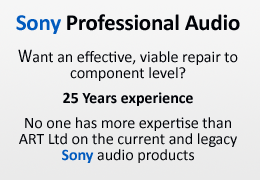 ART or Audio Related Technology Ltd has been providing high quality repair and technical services to the professional audio, broadcast and discerning individuals since March 2000. 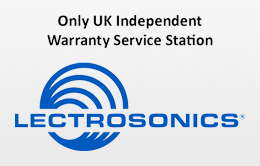 Our dedicated workshop in Chesham is equipped with high quality test equipment. We have all the manufacturers jigs and software and highly trained staff. So whether it’s an Audio or Video product you can feel confident that ART Ltd will be able to resolve your problem in a fast and efficient manner. Contact us for a fast response. We offer repair services to a wide range of products and manufacturers. As well as the companies listed below we can support many types’ electronic instruments, back line amplification and effects. To reflect this we have recently set up a new pricing structure with a lower hourly rate to suit the working/amateur musician which reflects the lower complexity of these types of products. If you wish to send us an item for service please download the Service Request form complete and include it with the item you are retuning to us for repair.